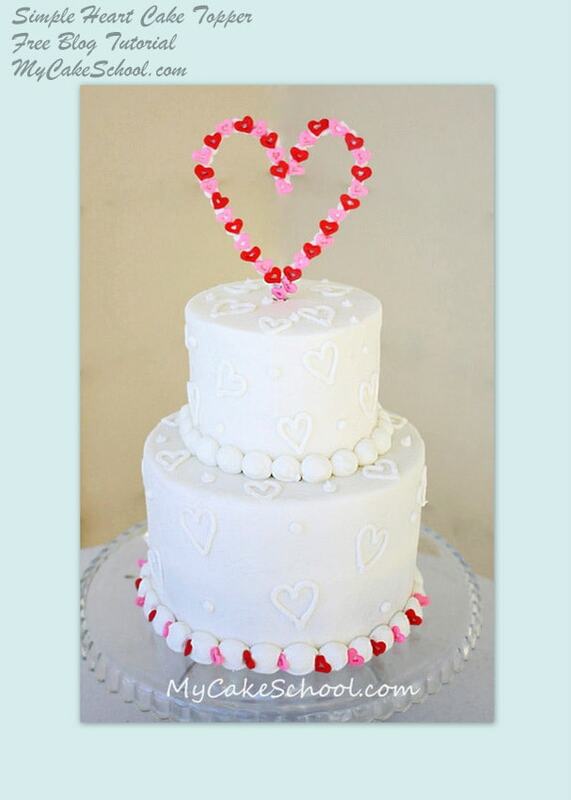 In this blog tutorial, I am making a heart shaped cake topper. 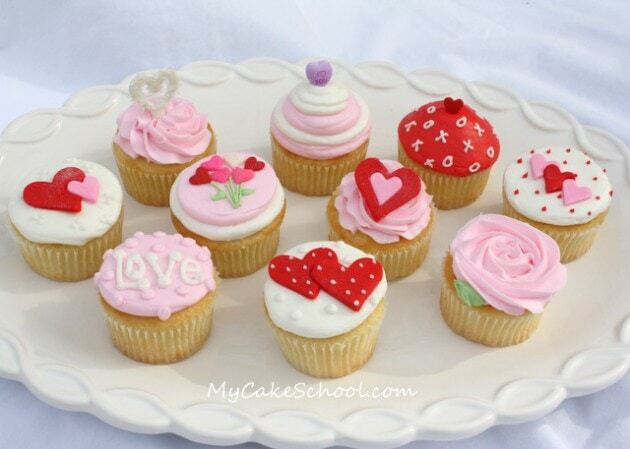 Such a simple way to add personality to your Valentine’s day cakes! Sweet Eyelet Cake- A Cake Decorating Tutorial! 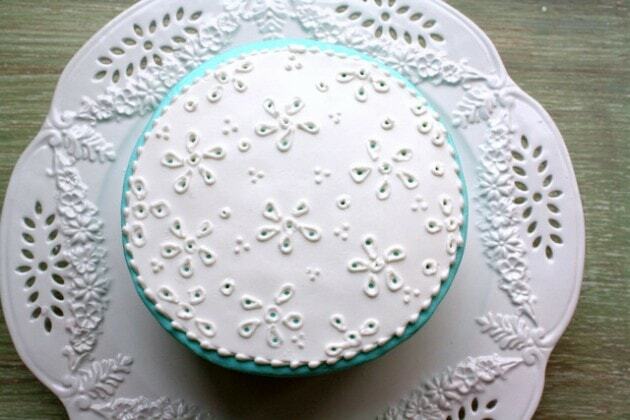 In this quick blog tutorial, you will learn how to make a gorgeous eyelet design in fondant. 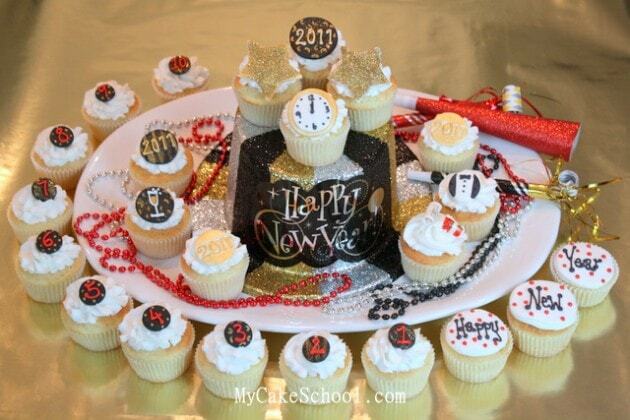 Learn how to make CUTE Happy New Year cupcakes in this free step by step cupcake tutorial by MyCakeSchool.com! The perfect way to celebrate! 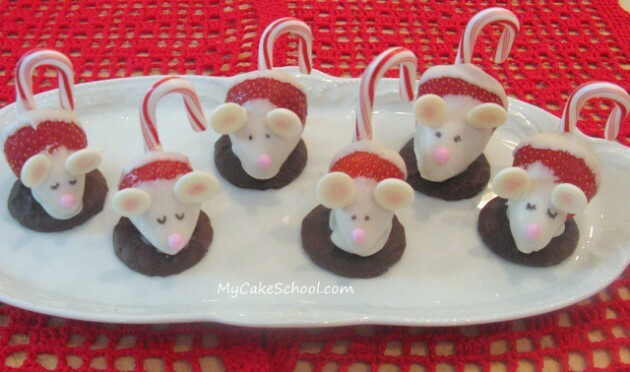 In this blog tutorial, I transform chocolate covered strawberries into adorable Christmas mice! 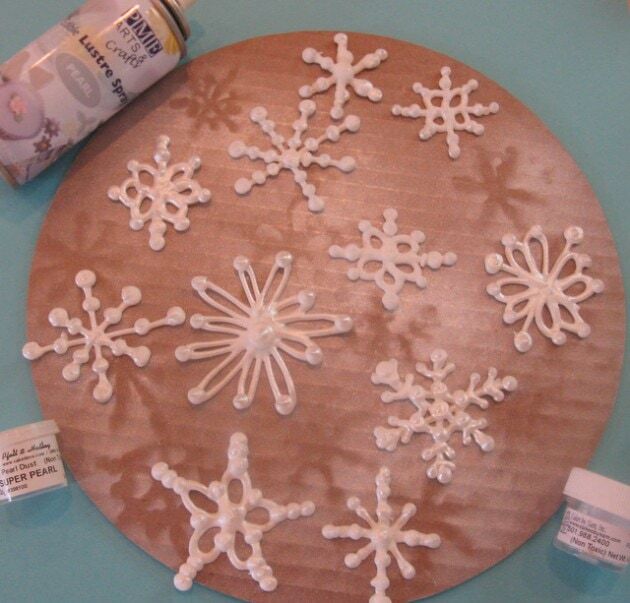 In this blog tutorial, you will learn how to make elegant royal icing snowflakes for your winter and christmas cakes and cupcakes! 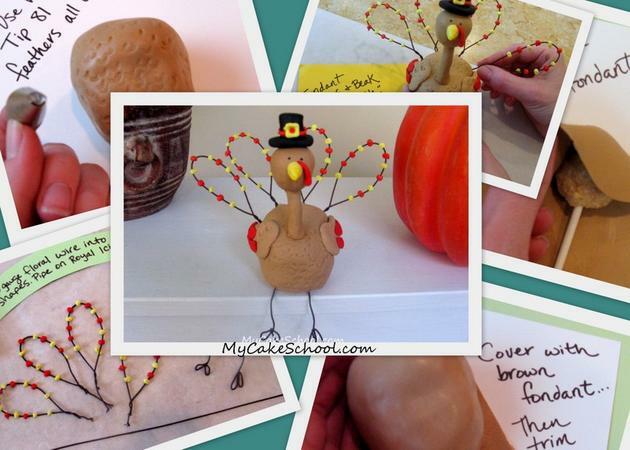 In this blog tutorial, you will learn how to make an adorable turkey cake topper using rice cereal treats and fondant! 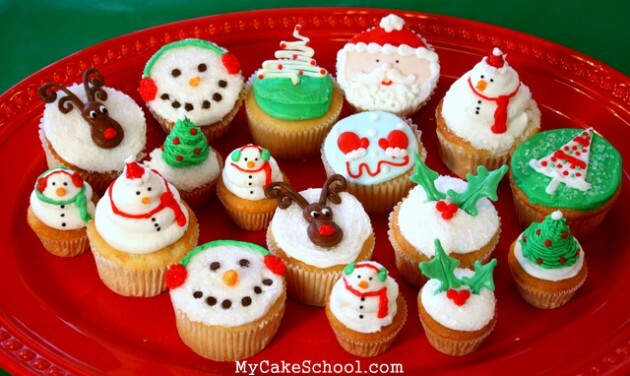 In this blog tutorial, you will learn one of my favorite scratch cupcake recipes for fall–Apple Spiced Cupcakes! 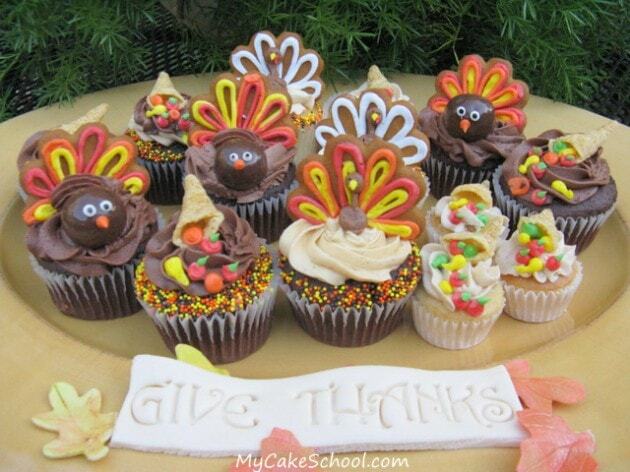 Free cupcake tutorial for these cute Thanksgiving turkey and cornucopia designs!